Feel inspired by these mid-century bedrooms lighting decor. The lighting design for a bedroom, should have a special shape and light ambiance . Beautifull modern bedroom requires a unique lighting design , the Brubeck pendant with it´s body brass and multiple tubes gives a unique expression and rythm ! 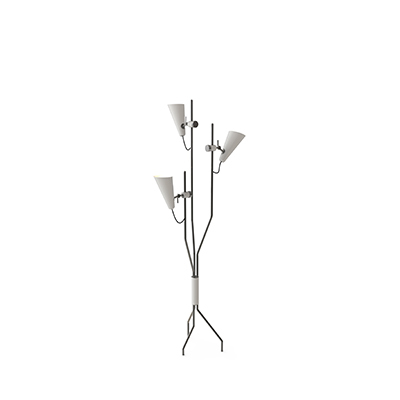 Armstrong floor lamp is the perfect mid-century lighting for a dressing room , you need a focused light . 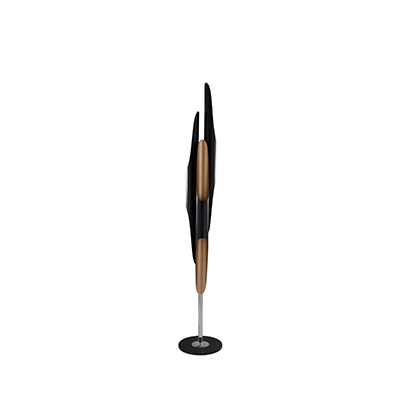 Also the Evans floor lamp is a truly mid-century décor lighting that will create a unique atmosphere ! A suite bedroom needs great living room , Evans floor lamp is the perfect contemporary bedroom lighting . Hanna pendant is a good choice for a bedroom lighting , with it’s body in any color available ,you can match with the softgoods . Hanna floor is one of the best bedroom floor lamps , the diferent color shades options match with a perfect mid-century décor . Grapghic Collection by DelightFULL offers a joyfull modern floor lamps , the A letter is available in other size ,suitable to use as a decor lighting design . With a mid-century vibe, Evans wall lamp it gives a unique touch on this contemporary bedroom . The Coltrane floor lamp and Coltrane table lamp are a perfect example of mid-century lighting ! Merely mention the name Coltrane and you will feel a deep connection with innovation and the expressive music in Jazz. The music of mid-century ! Top Exhibitors At This Upcoming Maison et Objet 2019!